The much-awaited National Digital Communications Policy (NDCP) 2018 has been approved by the Union Cabinet today. The policy aims at building and sustaining a sound digital infrastructure in the country. The three-pronged approach of “Connect-Propel-Secure” will have an inclusive, empowering and transformative impact on the nation. The document has made all the relevant stakeholders optimistic about the future. The policy aims to attract $100 billion in investments and create 4 million jobs in the sector by 2022. NDCP 2018 has taken into consideration, most of the suggestions given by and problems of the operators, and seeks to address such long pending concerns that have been adversely impacting the telecom industry. These include rationalisation of multiple taxes and levies, such as license fees, exceedingly high spectrum usage charges, revenue sharing, universal service obligation fund and GST, among other things. It must be noted that the Indian telecom service providers pay more than 30% of their revenues as taxes and levies, while most telcos worldwide pay around 10%. The approved policy document looks to rationalise this cost, taking into account that communications services bring with them significant economic progress of citizens. The telecom sector currently contributes 6 percent to the GDP. The NDCP2018 has set a target of 8% by 2022. The telecom sector is reeling under a massive cumulative debt of INR 7.8 Lakh crores, while the overall revenue has fallen to under INR 2 lakh crores. Further, the financial state of the sector has been rapidly deteriorating quarter on quarter. Incapacitating hyper-competition leading to significantly squeezed margins, mounting debt and dwindling revenues, are some of the reasons behind the sector’s severe financial distress today The impact can be seen in the number of mergers and consolidations that happened recently. A few telecom operators consolidated operations, while some exited the market altogether, filing for bankruptcy. Hence rationalisation of levies and taxes will go a long way in emancipating the sector, from its financial burdens. The NDCP 2018 comes at the time when the country is at the cusp of a digital revolution, welcoming an array of futuristic next-gen communication technologies, where machines will rule the roost, reducing human interaction and intervention to the bare minimum. The impact will be disruptive. As the country readies itself for technologies such as 5G, artificial intelligence (AI), machine to machine communications (M2M), internet of things (IoT), cloud computing, automation, robotics, augmented reality and virtual reality, India’s digital dream will cease to be a dream, and become a tangible reality. One of the major goals of the NDCP is to harness the power of emerging digital technologies, to enable provision of future-ready products and services. The new technologies will play decisive roles in improving efficiencies, providing sustainable solutions, bettering revenue streams and optimising costs. It is these technological game-changers that place the ICT industry at the forefront of nationwide digitisation. The policy aims to make access to digital communication services affordable and sustainable and towards this end, it has laid down a comprehensive roadmap pivoted on increasing high-speed broadband penetration by leveraging modern technologies such as 5G and optical fibres. Under its ‘Broadband for all’ initiative, it aims to make sure that every citizen has access to broadband running at 50Mbps or more, while all key development institutes should be receiving at least 100Mpbs of speed by 2022. The policy has projected that, by 2022, 10 gigabytes per second (Gbps) connectivity shall be provided at the gram panchayat level. The NDCP also seeks to ensure connectivity in all areas that are currently uncovered through channelizing the Universal Service Obligation Fund (USOF), thereby maximising citizen-centric connectivity as well as last-mile inclusivity. To build a connected and shared digital network, absolute inclusivity is a necessary first step. The policy document has incorporated provisions, encouraging the adoption of “Optimal Pricing of Spectrum” to guarantee sustainable and reasonably priced access to digital communications. The new telecom policy recognises spectrum as a natural resource and as a corollary, ensures its sufficient availability, efficient usage and putting together a fair and transparent allocation method for service providers. 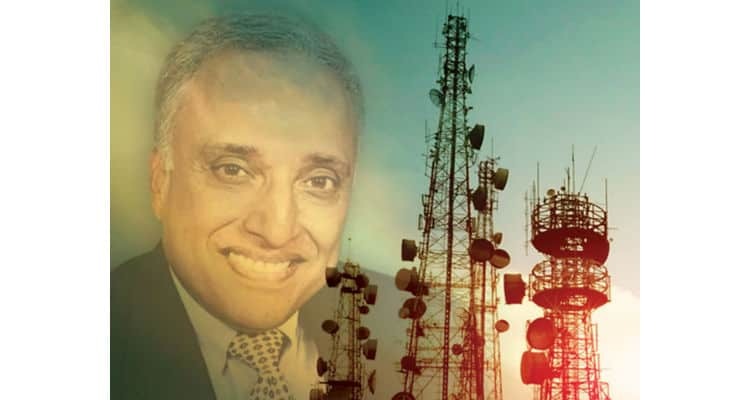 The final policy gives looks to guide the evolution of the telecom industry in the country. Considering the Government thrust towards a digitally empowered nation, the new policy has also focussed on creating an exhaustive roadmap for data privacy and protection so that all digital communications are safe and private, and autonomously controlled by citizens. A key aspect of this policy would be to safeguarding India against the evolving threats of cyber-attacks that arise with the transition towards a digital economy. Furthermore, with the public launch of open data sets, it is vital that security of information, data and digital communications of organisations and individuals be of paramount importance. The new policy has made it clear that the Government is finally cognisant of the importance of the Indian telecom sector and the role it can play for the country’s advancement, by connecting the next billion and empowering them with the necessary information they need to lead fulfilling lives. Telecom companies are, infact, the infrastructure providers for the digital economy. The implementation of this policy will fundamentally redefine the contours of how India connects and communicates digitally. Speaking of pushing India ahead, foreign investment has been highlighted as a major aspect of the policy. The NDCP aims to catalyse investments for the digital sector through various avenues such as ensuring a holistic and harmonised approach for harnessing emerging tech as well as providing an impetus to research and development, start-ups and local manufacturing. The year 2022 will be a watershed year, if all the NDCP 2018’s targets are achieved. The proposed Digital Policy is a brilliant initiative on part of the Government to formally focus on not only the telecom sector but also include digitization of the country within its ambit. The priority now is to implement the policy in its true letter and spirit and the industry stakeholders are happy that DoT is already looking into the same. National Digital Communications Policy 2018 will catapult India on the path of global knowledge revolution 0 out of 5 based on 0 ratings. 0 user reviews.